Your kidneys — two bean-shaped organs — are located just below your rib cage one on either side of your spine. 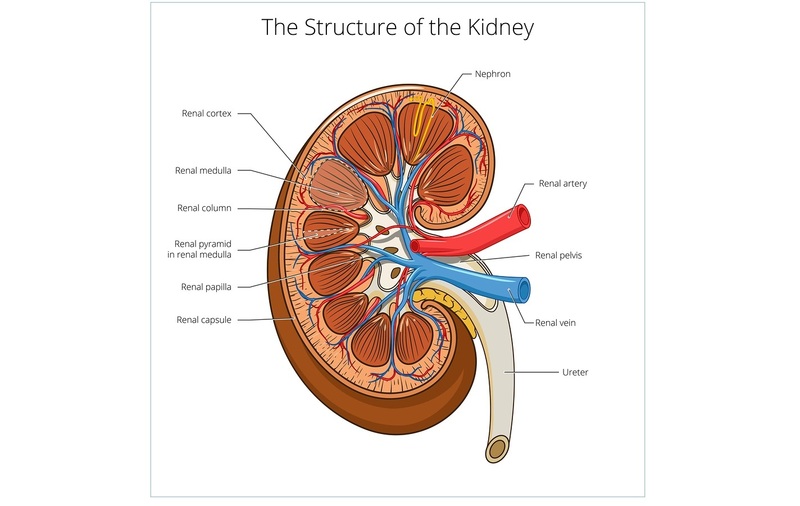 Positioned on top of each kidney are your adrenal glands. Each day, your kidneys filter up to 150 quarts of blood and flush out waste products through your urine. One of the reasons why you need to drink enough water is to ensure healthy kidney function. In fact, chronic low-grade dehydration is one of the most common causes of kidney stones. Poor kidney function is also associated with a number of other serious health problems, including diabetes, hypertension, and heart disease.